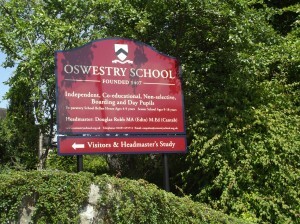 Founded in 1407 Oswestry School is one of the UK’s oldest independent schools. Founded in 1407, Oswestry School is one of the oldest independent schools in the country. With 400 students aged between 3-18 years, it offers day and boarding options and has over 80 employees covering teaching, administration, grounds and facilities management posts. Following the appointment in 2010 of a new Headmaster, an immediate review of administrative functions revealed many of the processes for managing colleagues were neither sufficiently robust nor implemented equitably across all school functions. Ian was invited to join the Board of Governors to provide HR and performance and talent management expertise and now chairs the school’s HR Committee. After urgently reviewing the school’s policy portfolio and drafting a new Staff Handbook, Ian has focused more recently on helping the School’s leadership deliver effective performance management. Ian has provided clear guidance on people management strategies and has led on a number of sensitive HR issues involving employee performance, long term absence and most recently, a significant restructuring. Ian Payne has provided outstanding HR advice and practical support. He is absolutely up to date with current legislation and brings a holistic approach to managing and developing employees. He has worked on a wide range of HR projects and is always absolutely spot on. I would have no hesitation in recommending Ian to other employers.